First impression count – you have spent a long time getting everything perfect for your day so don’t let your venue chairs let you down. 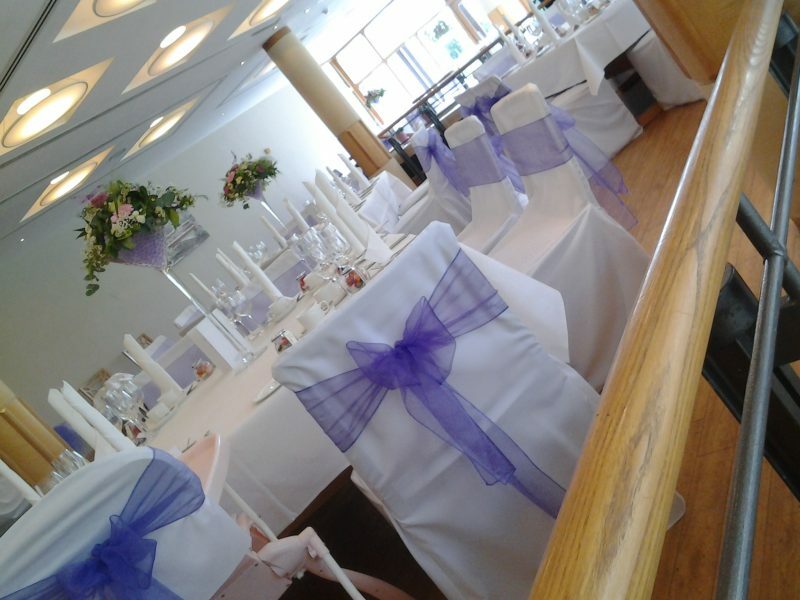 Chair covers with co-ordinating sashes to match your colour scheme set off the venue to its full potential. 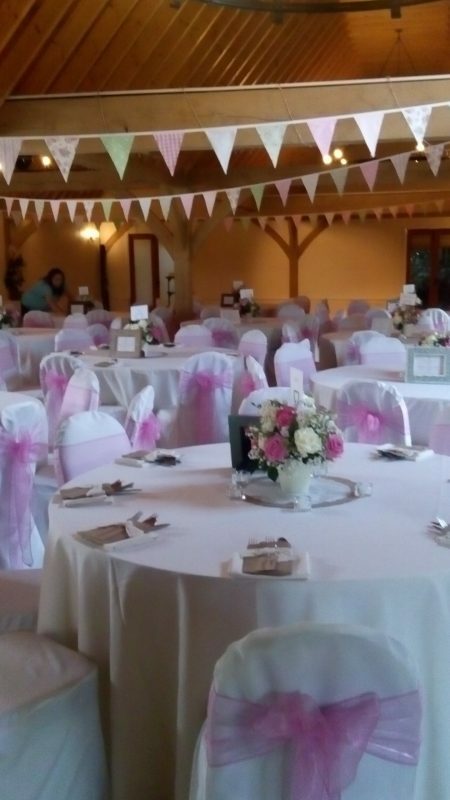 Our chair covers are made from a wonderful fabric that keeps it’s pristine appearance and to maintain that look our covers are professionally cleaned and steamed after every use. We always check each cover to ensure that it is in perfect condition before it is hired. 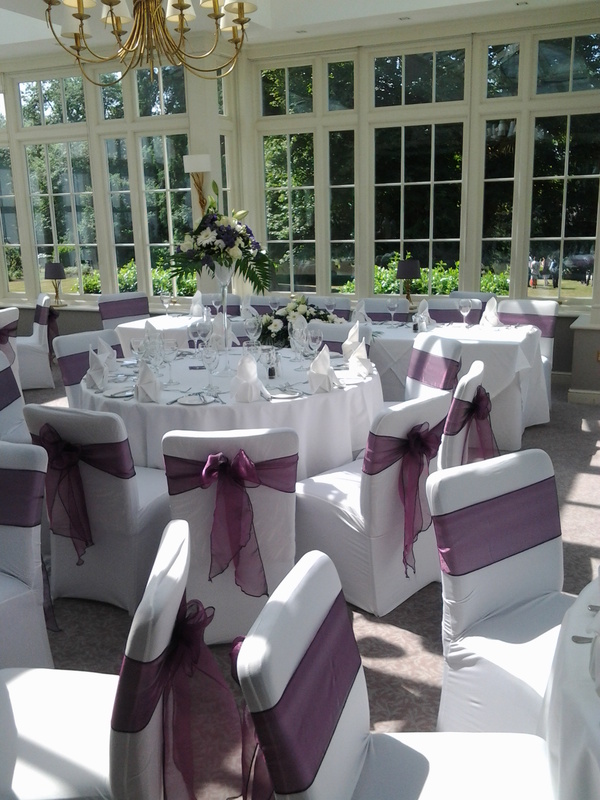 Organza sashes provide the finishing touch to chair covers and are available in a huge range of colours to complement your colour scheme. We also have satin sashes that provide a more sumptuous look for your reception and these are available in a large selection of different colourways. Perhaps you are looking for sashes in other fabrics do please let us know what you need we are always happy to source what you are looking for. We will send you a sample of your preferred choice so that we can make sure it matches your theme. 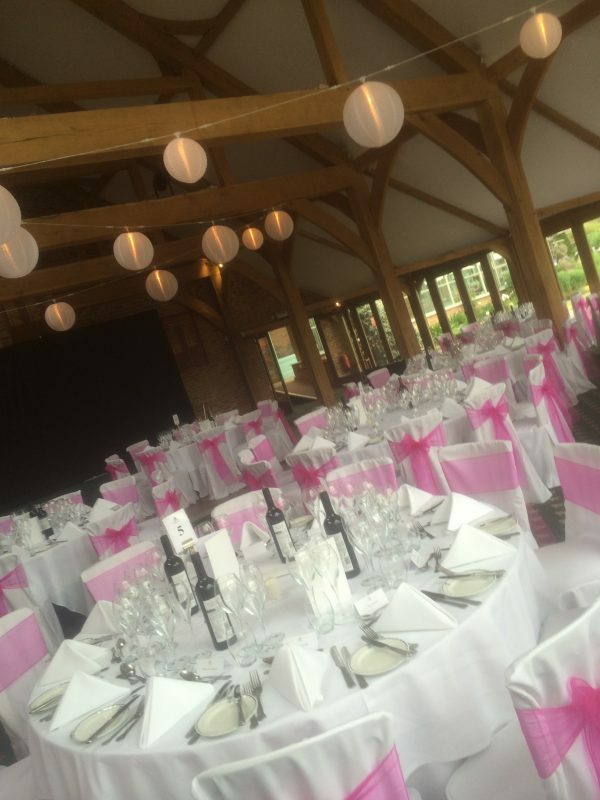 We supply high quality chair covers for a wide variety of venues. The covers we have are suitable for most hotel, function room and marquee chairs. 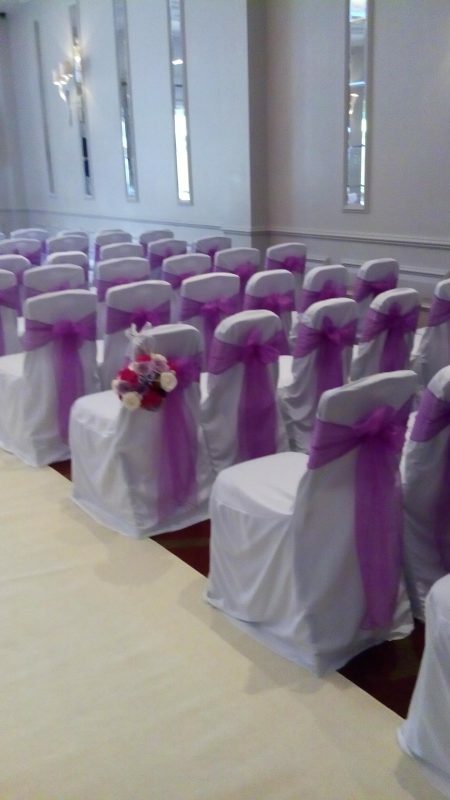 Our chair covers and sashes are ideal for that finishing touch for your wedding but can be used for that touch of class for a private party or corporate function. Both the above include delivery, fitting and collection within 10 miles of Stevenage. For locations further than 10 miles please ask for a price. All chair covers and sashes remain the property of WEDDINGHOUSE. The hire period will cease at 1am following the day of hire. The hire may be extended at the hirer’s discretion for which a charge may be made. Final numbers for quantity of chair covers and colour of sash should be confirmed with the final balance. Weather permitting WEDDINGHOUSE are happy for the covers to be used outside with prior written permission. 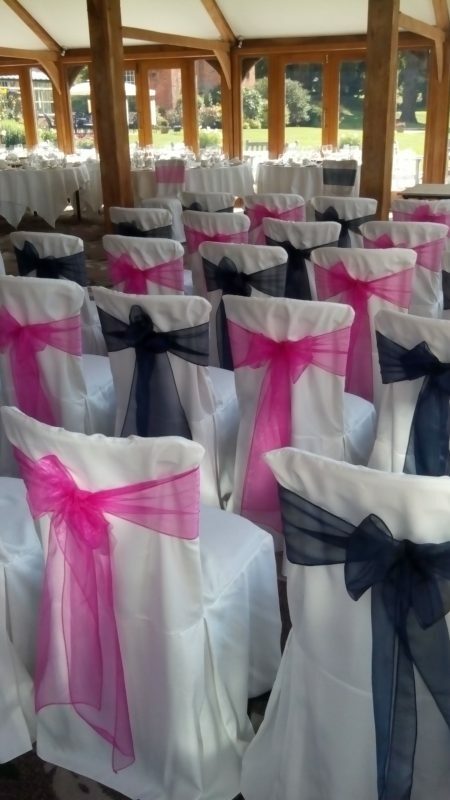 It will be deemed that the number of chair covers booked will not be decreased by more than 10%. Should this be the case you will be charged for your original number booked less 10% even if your final numbers are below this. Should your final numbers be increased by more than 10% this should be notified to us as early as possible but no later than 4 weeks before the event.